Where do you shop as a Big & Tall man? Kavah shares a few of the big and tall brands to watch for this fall season to keep you looking and feeling right. What’s going on? I hope that all is well with you. I hope the weather change isn’t taking its toll on you. (I guess that statement depends on where you live.) As a man of size, I find It hard to find some quality Big and Tall Brands for the fall. Of course, some stores will charge you a whole lot of money because of our size. Too many times the pieces look the same. Or too many of us will show up at an event with the same clothes, from the same stores, and with the same look. Trust me, it isn’t fun. A lot of men of size aren’t given many options to show their diversity. (Unless you have the funds, then that is a very different conversation.) No one wants to feel as if they are painted into a corner. It’s like us big & tall men are in a place where we have to scour for some pieces like a treasure hunt. 5 Big and Tall Brands to watch for the Fall Season! Asos is a brand that is definitely pushing the envelope for fashion for men of size. They are bold and daring which is rare especially in big and tall fashion. If you are looking to stand out in the fashion world as a man of size, Asos has some pieces for you. Boohoo is a brand that has some great pieces too. I love their graphic t-shirts (Yes, I liked the Mickey Mouse pieces, don’t judge me.) 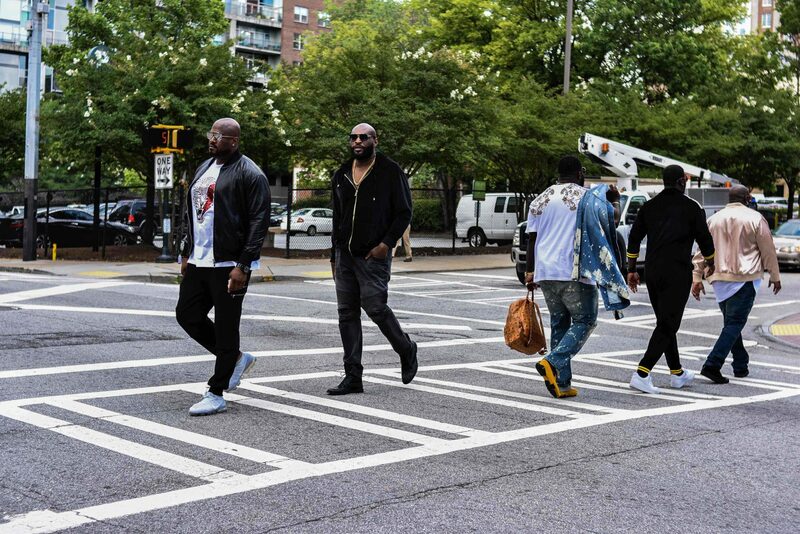 The variety is impressive from sweatsuits and distressed denim all the way to suits and tuxedo blazers. Keep your eyes peeled. The Winston Box is a subscription box service for big and tall men. They have items shipped directly to your doorstep (which I find to be very convenient.) You can switch pieces to curate the items that you want to be sent to you. So, that you have some liberty to style yourself. Also, they have some of the best fabrics for men of size. The cotton selected is absolutely amazing. You can wash it more than once! Keep your eyes peeled. Brandon Kyle is very unique. Kyle is another designer that is pushing the envelope. I find that all of the pics are different than most brands on the market. From mesh shirts to denim pieces. From rompers to bomber jackets, I am sure that there is at least one piece that you will feel that you need it in your wardrobe. Don’t take my word for it, see for yourself. Now, this is not all of the Big & Tall brands that you can rock for the fall, just a few tried and true places that keep us together throughout the year. 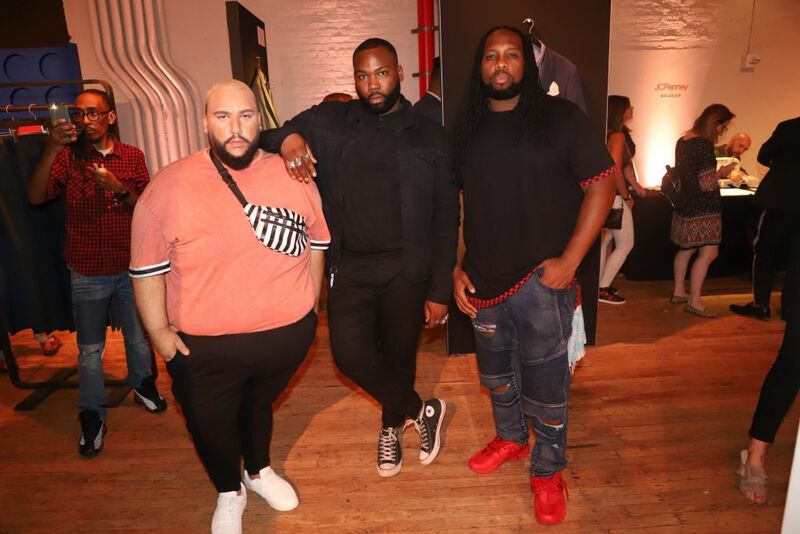 We have featured more than a few Big & Tall designers, like MVP Collections, but when it comes to the retailers and brands that consistently keep us fresh, these are just a few. Did we miss one of your favorite Big and Tall brands? Thanks for your time, until next time. Can anyone comment on BooHoo’s shirt sizing? I typically wear a 3XL, but their sizing guide seems to run small. First, I like this article because after searching for 30 minutes on Twitter for some new lines to buy in big and y’all I found you! Second, don’t forget the standards! Belk always has a nice B/T section filled with Saddlebred, Chaps, Polo, and Van Heusen. Polo is nice but you must dry clean their stuff, never wash.
Nautica and Parrish keep a few pieces as well. Heyyyyy! Happy to have you and yes, we will make sure that we take a peek at those as well!